Music has always been closely linked to social change, whether it was Bob Dylan singing protest songs in the ’60s or Beyoncé waving her feminist flag. In some cases, they even risked their careers to stand up for what they believe in. From the Vietnam War to Black Lives Matter, these musicians heralded major political movements and changed the world with their art. Beyoncé has one of the largest platforms in the world and frequently uses it to champion the polarizing Black Lives Matter movement. 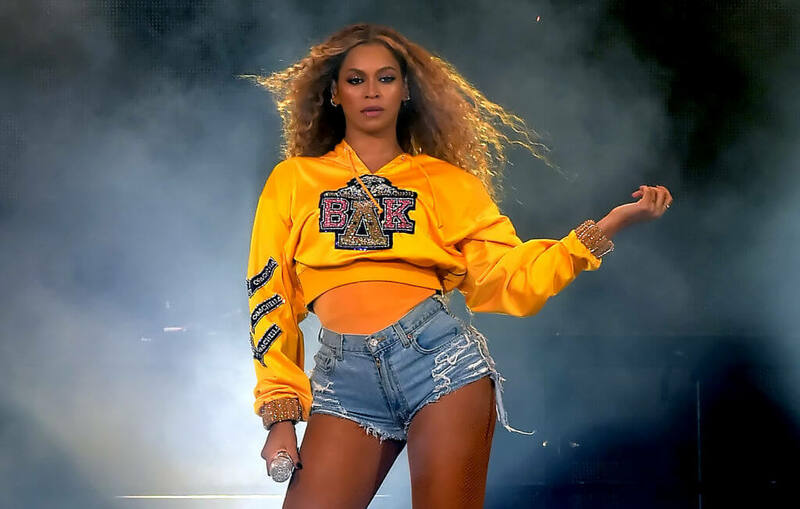 There aren’t too many stars willing to get controversial if they manage to land a gig at the Super Bowl, but then again, there aren’t too many stars who are Beyoncé. The Holy Grail of gigs can make or break a career (just look at Janet Jackson’s wardrobe malfunction), but Bey eschewed this white bread tradition by delivering a politically-charged tribute to Black Lives Matter during her 2017 halftime show. The year prior, she brought the mothers of the Black Lives Matter movement to the MTV Video Music Awards’ red carpet. Read on to find out what else Beyoncé has done to fight injustice. Coachella started out as just a music festival, but it grew into a culture that launched an entire season for the fashion industry (hello, festival style). Needless to say, its influence is felt across the nation. 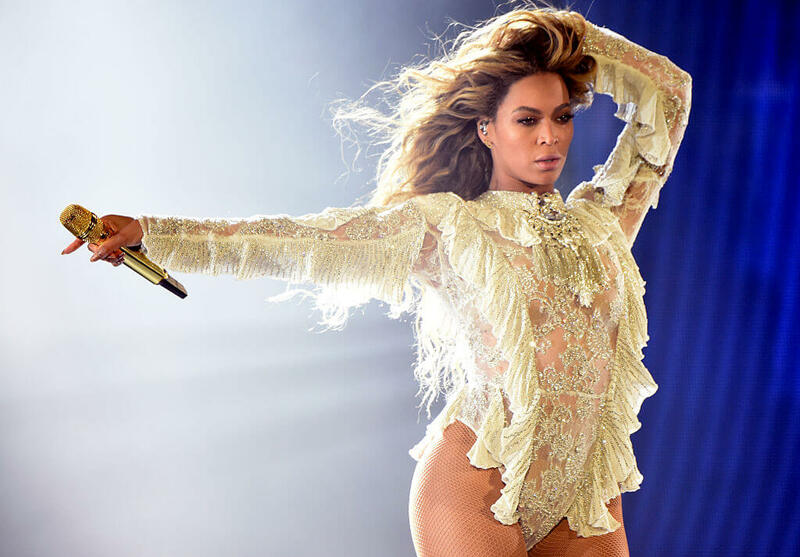 Beyoncé used her moment at the renowned festival to call for cultural change. She became the first black woman to headline. During her headlining set, Bey played a rendition of “Life Every Voice and Sing,” a song that’s previously been referred to as “The Black National Anthem.” “Ladies, are we smart? Are we strong? Have we had enough?” she said, continuing with her theme of female empowerment. Cue a Malcolm X voice-over and Coachella would never be the same. 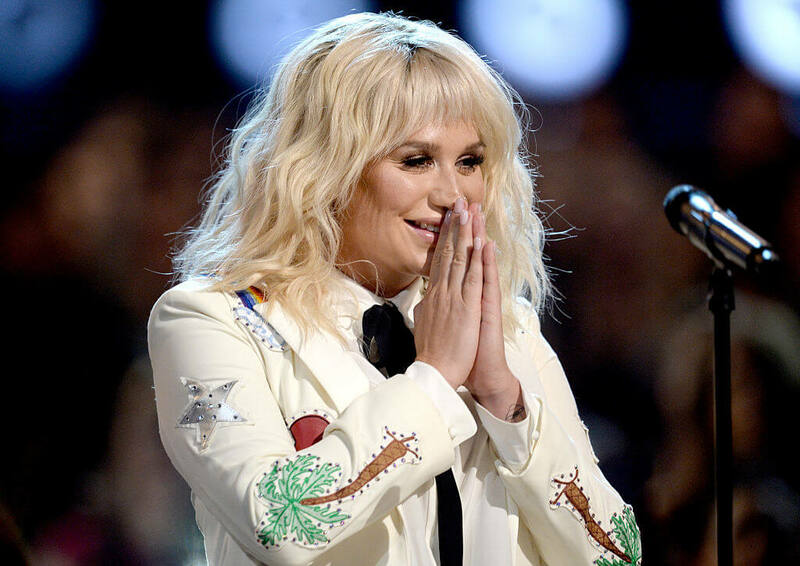 “Praying,” the singer’s first song in five years, has become an anthem for victims of abuse with lyrics like “after everything you’ve done, I can thank you for how strong I have become.” The performance had a star-studded lineup of backup singers including Cyndi Lauper, Andra Day, and Camilla Cabello, who each embraced the teary-eyed Rainbow singer in support. Kendrick Lamar has never been one to shy away from politics, and his 2015 album helped launch a new civil rights movement. To Pimp a Butterfly advocates for often overlooked issues in the black community. Songs like “Alright” and “The Blacker the Berry” have become rallying cries for Black Lives Matter. The latter speaks out against the often looked issue of black on black crime: “So why did I weep when Trayvon Martin was in the street? When gang banging make me kill a[n expletive] blacker than me?” He even touched on the subject of systemic economic inequality regarding Wesley Snipes’ tax evasion charges. 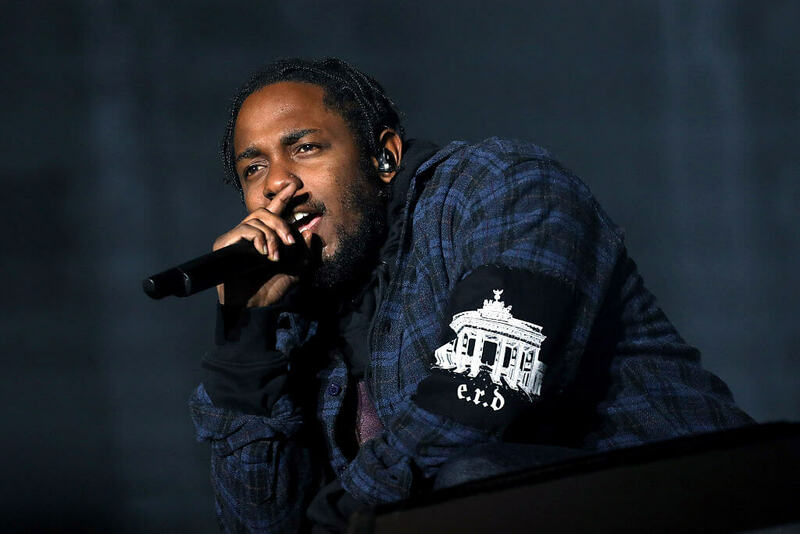 He explained the song in an interview: “No one teaches poor black males how to manage money or celebrity, so if they do achieve success, the powers that be can take it from right under them.” Lamar later delivered his politically charged tunes to the Black Panther soundtrack. 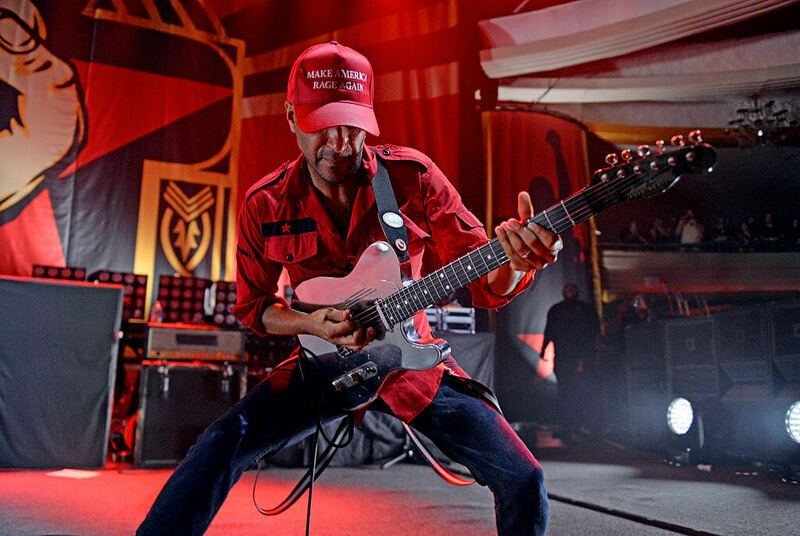 Rage Against The Machine’s Tom Morello became a voice for struggling laborers – and it’s not just with his angsty music. In fact, the Harvard graduate left his punk rock roots and became a folk singer with The Nightwatchman. It’s something he describes as an “extension of [his] politics” and uses the project to advocate for unions and fair wages. In 2003, The Nightwatchmen joined the Tell Us The Truth Tour which was advocating for the free press (which is particularly important if you consider today’s political climate). Morello was also a constant presence at Occupy Wall Street and attended the protests in Madison, Wisconsin in early 2011. The following year, he got on stage at a Chicago rally headed by the National Nurses Union and called for a “Robin Hood” tax. 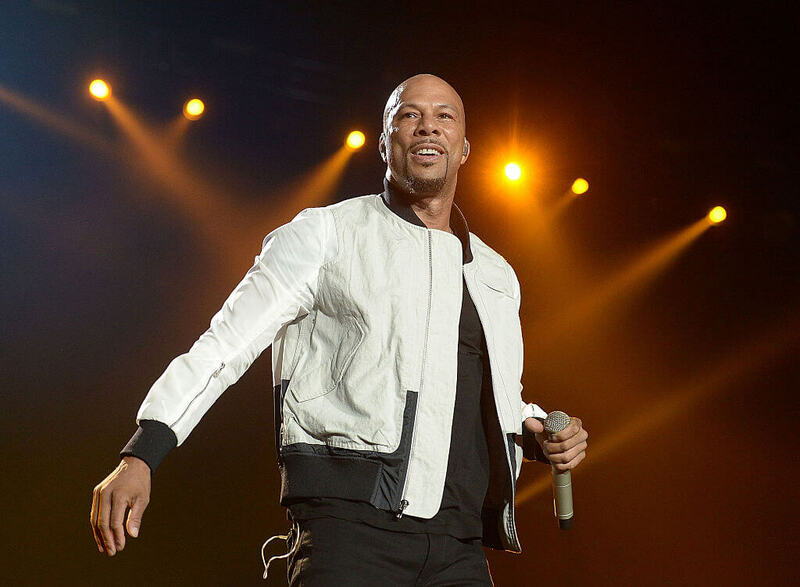 Common is more than just one of Chicago’s most successful rappers. The star’s music became a soundtrack for the Black Liberation Movement with songs like “A Song For Assata,” an ode to Assata Shakur and the Black Party. Common also took his activism further than peppering his lyrics with political ideals. In 2018, he collaborated with The New York Times for “TimesTalks,” where he discussed his 2016 album Black America Again and issues affecting the African American community. He also joined an initiative to bring 1,000 jobs to Chicago in an effort to curb violence among youth. “That thing brought tears to my eyes because I was like, ‘Man, this really worked,’” he said. Since Logic rose to fame in 2014 with Under Pressure, the rapper has used his platform to champion his political beliefs. 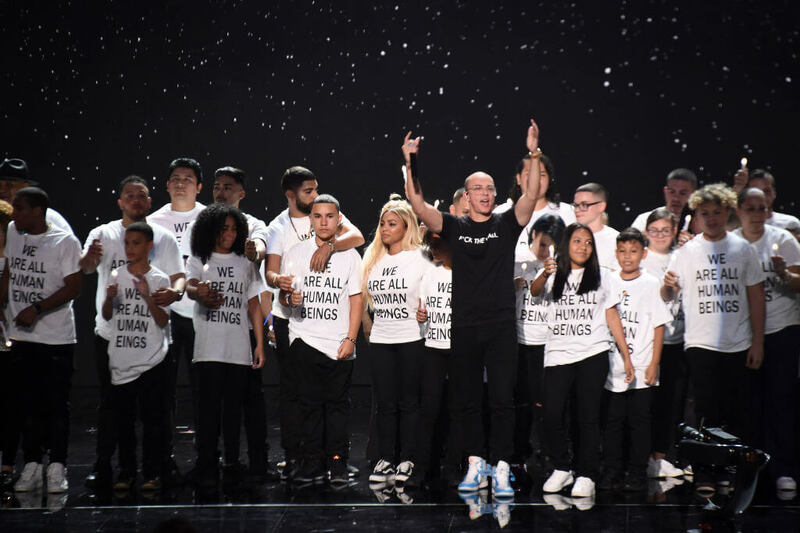 At the 2018 MTV VMA’s, he took a stand against Donald Trump’s proposed border wall. 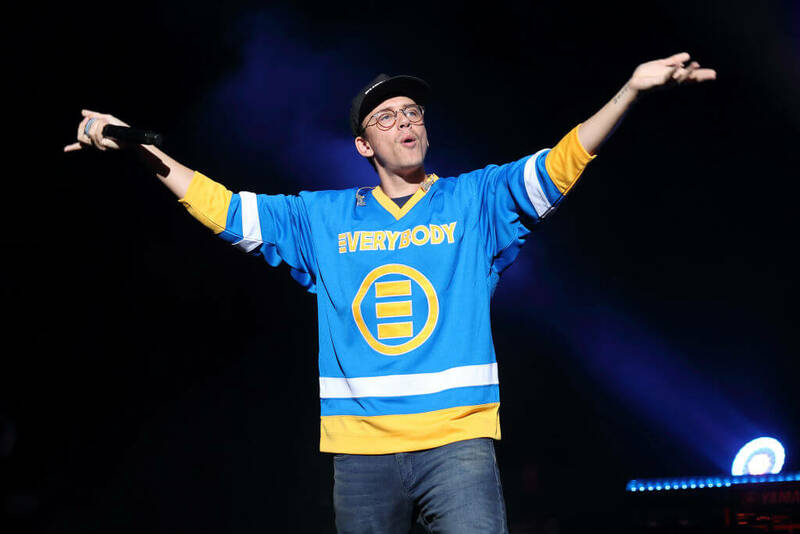 Logic delivered a powerful immigration-themed performance while donning a t-shirt that read “[Expletive] the Wall” and standing in front of a backdrop bearing a U.S. Border Patrol graphic. “I don’t give a[n expletive] if you’re black, white, or any color in between. I don’t care if you’re Christian, you’re Muslim, you’re gay, you’re straight,” Logic said. “I’m gonna fight for your equality because I believe that we are all born equal, but we are not treated equal and that is why we must fight.” His performance drove a spike in the calls to the National Suicide Prevention Line. 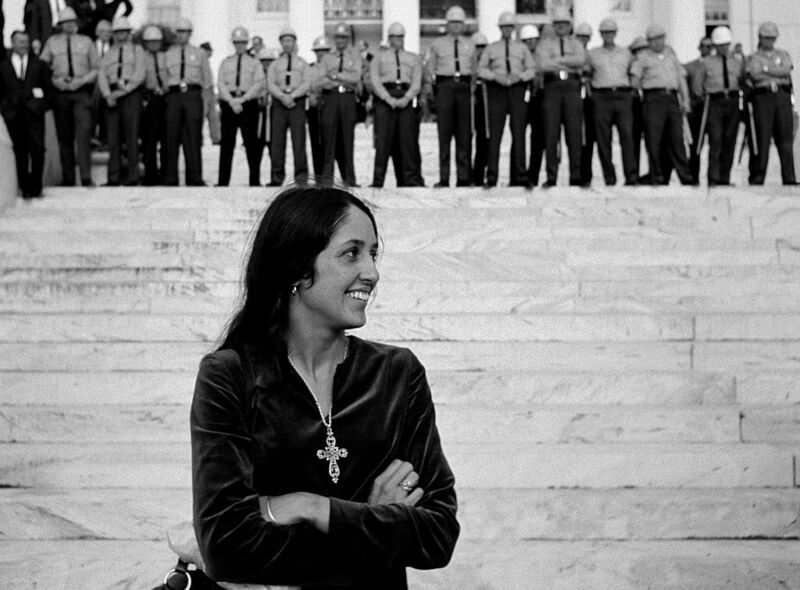 Joan Baez has had a nearly 60-year career, and spent most of it proudly singing protest songs and fighting for civil rights. The artist has appeared alongside Martin Luther King Jr. and famously performed at the Newport Folk Festival in 1963. At the festival, she led a march with 600 festival goers and the Student Nonviolence Coordinating Committee to support the March on Washington that was scheduled in DC the following year. Throughout the singer’s career, she’s made numerous free concert appearances for charities like UNESCO, but her activism reaches further than civil rights in America. We’ll learn more about Baez next. 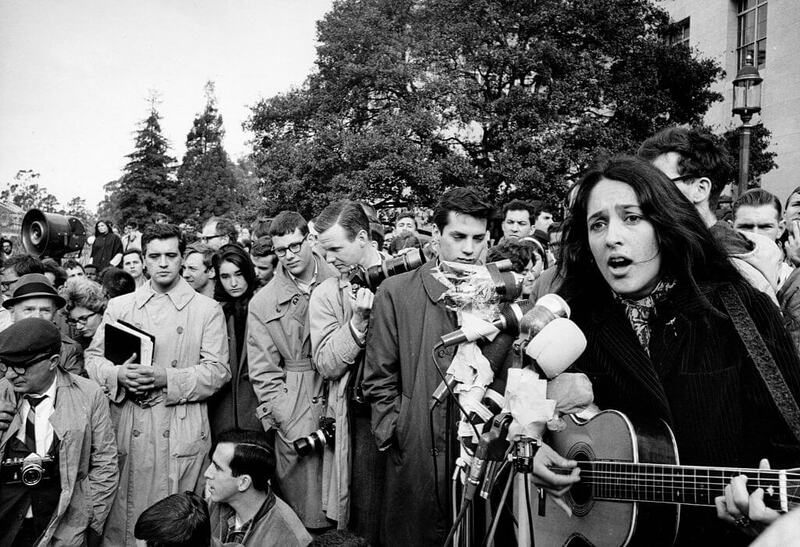 Like many folk artists who rose to fame in the 1960s, Joan Baez was adamantly against the Vietnam War. She was so deeply committed to her cause that, in 1964, she withheld federal income taxes on the grounds that she wouldn’t contribute to war-related expenses. In 1967, Baez was arrested during a Vietnam Protest alongside 40 other anti-war protesters. The protest was held a sit-in a military induction center. She’s been arrested several times for protesting. In 2015, she received Amnesty International’s highest honor: the ambassador for conscience award. Patti Smith hailed her as the “16th century” Joan of Arc. 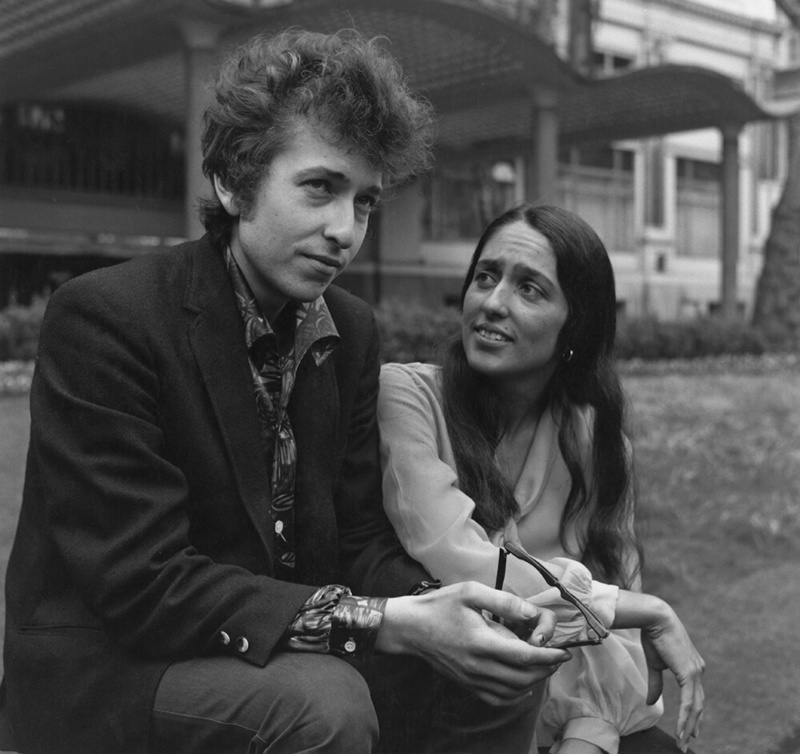 Like Baez, Dylan was heavily involved in the civil rights movement of the 1960s. He frequently appeared at protest concerts and rallies, but most of his activism was done through his poetry and music. 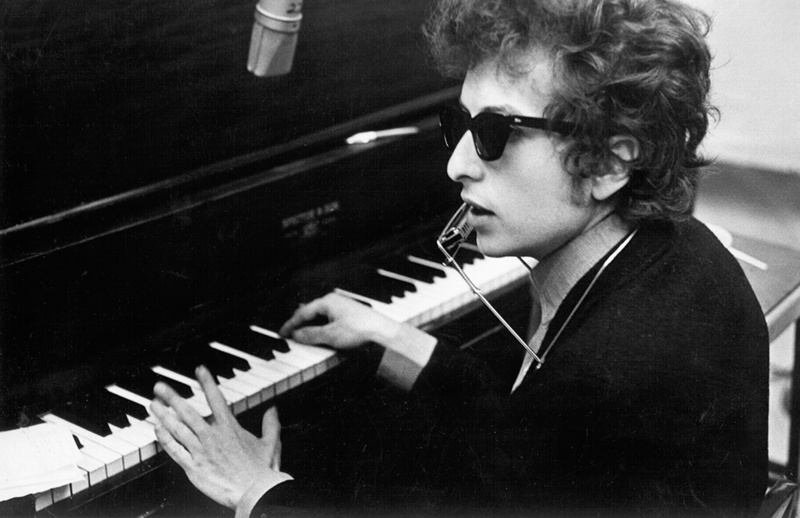 According to CNN, Dylan changed the course of history with “Blowin’ in the Wind.” Though he wrote the song in 10 minutes while sitting in a café, it was adopted as an anthem of the civil rights movement. He sang it at a voter registration rally in Mississippi, Peter Yarrow sang it during a protest march, and Peter Paul and Mary famously played it at the March on Washington just hours before Martin Luther King gave his iconic “I have a dream” speech. “Like A Rolling Stone” may not have been a protest song or a battle cry, but it changed history nonetheless. According to CNN, Dylan ushered in a completely new era of rock and roll when he played the jam at the Newport Folk Festival in 1965. In 1965, singer-songwriters almost never picked up an electric guitar, but Dylan ditched his acoustic for a Fender Stratocaster. He was met with a crowd of boos, but Springsteen later claimed the moment “changed the face of rock n’ roll forever and ever.” Rolling Stone named “Like A Rolling Stone” the greatest song of all time (which is unsurprising considering it gave the magazine their name). Bono penned the song “Silver and Gold” for Steven Van Zandt’s anti-apartheid album Sun City: Artists United Against Apartheid. The album sought to raise awareness for the South African government’s regressive policies. While on tour in South Africa, U2 included a videotaped speech by Nelson Mandela as part of their performance. In 2002, Bono launched DATA (Debt, Aids, Trade, Africa). The charity seeks to end HIV/AIDs and extreme poverty in Africa. How does it does it work? DATA actually encourages people to contact senators and elected officials – the people who can actually make change happen. 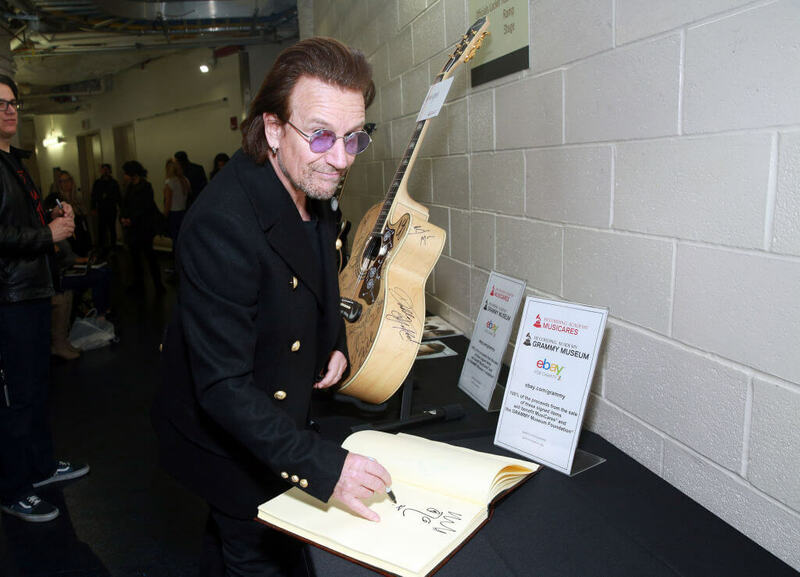 Beyond Data, Bono guest-edited Vanity Fair’s “The Africa Issue: Politics and Power” and launched Produce Red, which raises money for the Global Fund to Fight Aids, Tuberculosis, and Malaria. 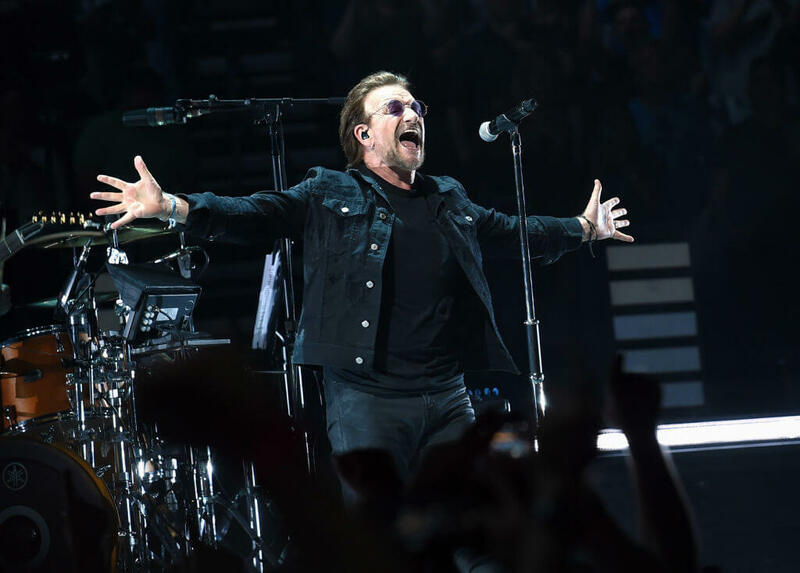 Bono has been knighted and nominated for the Nobel Peace Prize three times because of his humanitarian work. 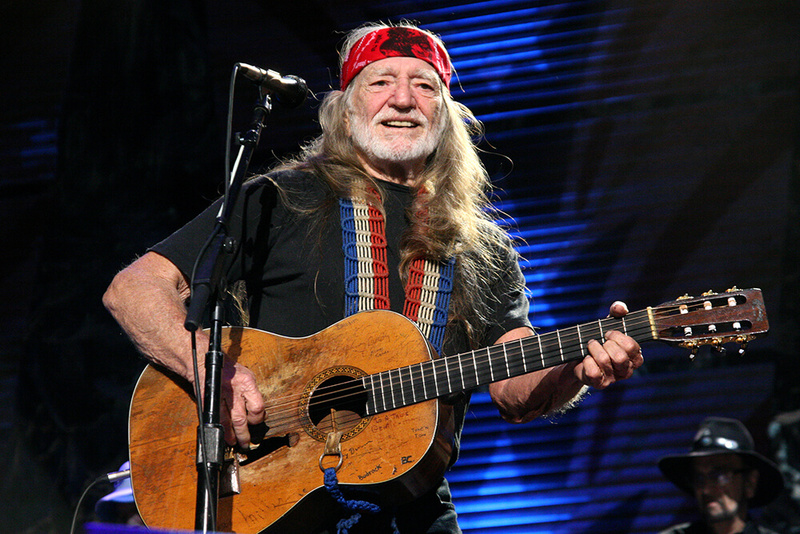 Willie Nelson isn’t just an iconic singer and songwriter. The folk artist co-authored several books and dove headfirst into a life of activism. Most of Nelson’s causes revolve around the legalization of marijuana and the use of biofuels, but he also made major moves to help farmers in America, an often overlooked group of people. In 1985, Nelson teamed up with John Mellencamp to create Farm Aid, in hopes that some of the money he could raise would help farmers at risk of losing their homes to mortgage debt. His first concert featured Bob Dylan, Billy Joel, and Neil Young. It raised over $9 million. Nelson is currently the president of Farm Aid’s board. 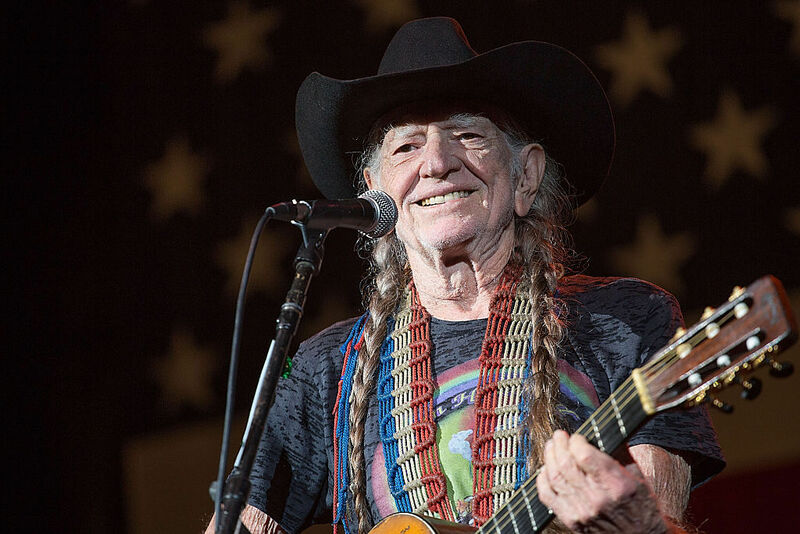 It shouldn’t be surprising that Willie Nelson is a huge advocate for marijuana legalization. According to the biography Willi Nelson: An Epic Life, the singer even smoked weed on the White House roof (he was a frequent guest throughout the ’80s and appeared on the cover of High Times). Nelson is the co-chair of the National Organization for the Reform of Marijuana Laws (NORML). The star went as far as creating his own political party, the TeaPot Party, to advocate for legal weed. Their motto was “tax it, regulate it, and legalize it.” After marijuana was legalized in certain states, Nelson launched his own cannabis brand, Willie’s Reserve. It didn’t take much for John Lennon to pen Imagine. He wrote the song on a Steinway piano in one of his estate’s bedrooms. It took just one brief writing session to nail most of it down. Since its release in 1971, the song has remained an anthem for socialism and world peace as Lennon called for the elimination of borders, religion, and class. “There is no real Communist state in the world; you must realize that. The Socialism I speak about … [is] not the way some daft Russian might do it, or the Chinese might do it. That might suit them. Us, we should have a nice … British Socialism,” he told NME. John Lennon did the unthinkable – he transformed a protest song into a Christmas anthem. The hit, penned by Lennon and Yoko Ono, revamped the classic English balled “Skewball” and called for the end of the Vietnam War. “Now I understand what you have to do: Put your political message across with a little honey,” he said of the hit. 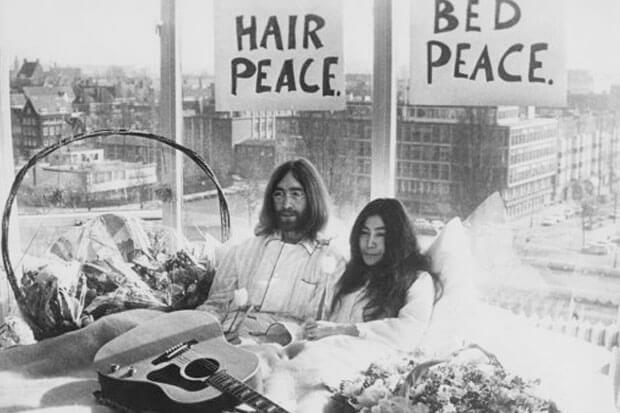 Before the track was released, Ono and Lennon were avidly protesting for peace. 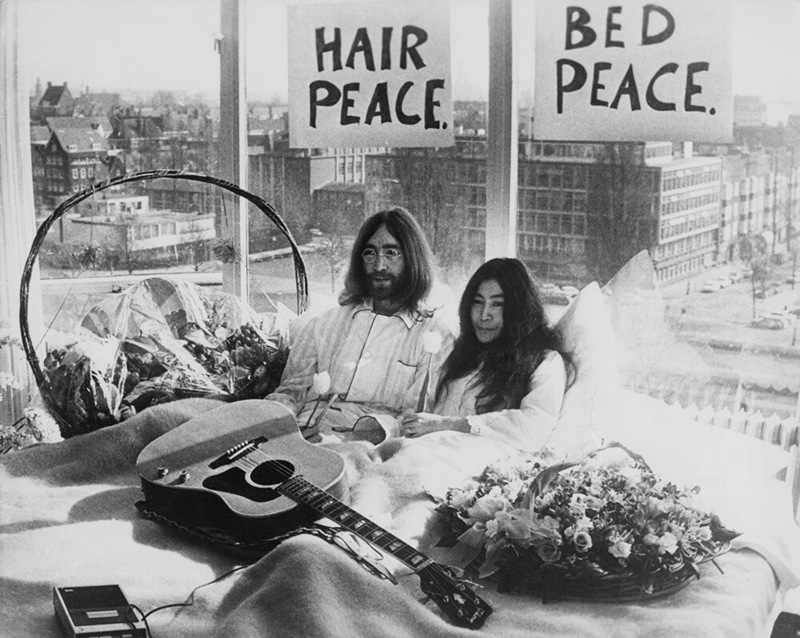 They launched their efforts with bed-ins in March and May of 1969, along with an international multimedia anti-war protest that included 12 billboards with the words “War is over! 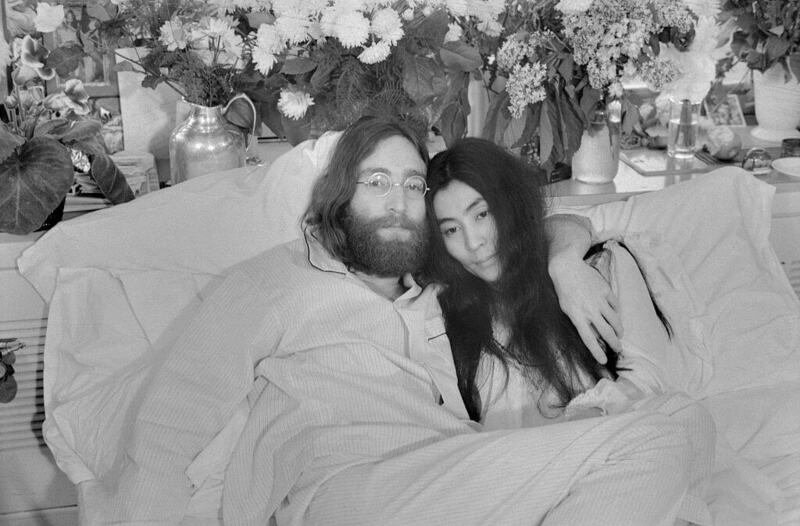 If You Want it – Happy Christmas from John & Yoko.” The song reached No. 4 in the UK charts and remains a popular holiday tune. 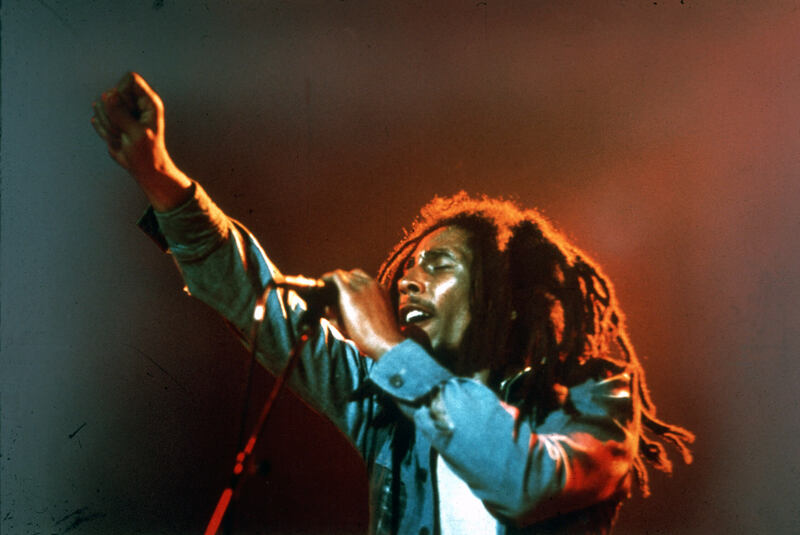 Though Bob Marley died from cancer at the age of 36, he remains one of the most influential reggae artists of all time. It may not be the largest swath of his catalog, but the artist still used his music to champion his politics and call for social and economic justice. This is most notable in his work with The Wailers. 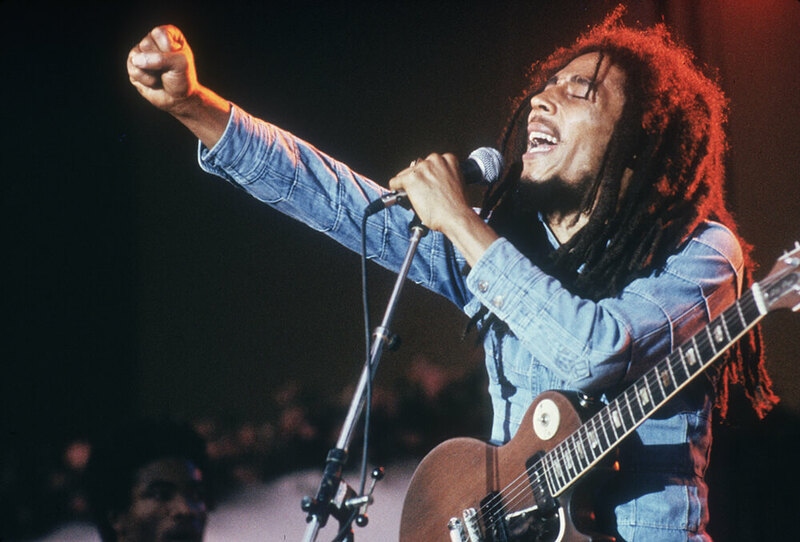 “Get Up, Stand Up” carried a bold message and quickly became one of Marley’s most popular songs. In it, he called for listeners to stand up against their social and economic injustices rather than remain complacent hopping for a spot in heaven. His words were inspired by the poverty he witnessed while touring Haiti. Marley’s single “I Shot the Sheriff” is undoubtedly one of the artist’s most recognizable songs, but it spoke out against police corruption. Long before the Black Lives Matter movement or Ice-T’s polarizing single “Cop Killer,” Marley used the track to tell the tale of a narrator who killed a corrupt sheriff in self-defense but was being falsely accused of killing the deputy. “I want to say ‘I shot the police’ but the government would have made a fuss so I said ‘I shot the sheriff’ instead… but it’s the same idea: justice,” he said. Eric Clapton later covered the single and included it on his album 461 Ocean Boulevard. This version of the song was inducted into the Grammy Hall of Fame and peaked at No. 1 in the Billboard charts.